Steve Wallen Swim School has over 30 years experience offering programs for students with special needs and has achieved remarkable success in helping them learn to swim and enjoy the water. Steve Wallen Swim School offers highly trained swim instructors that are patient and experienced with special needs students in order to help them develop the life skill of swimming. 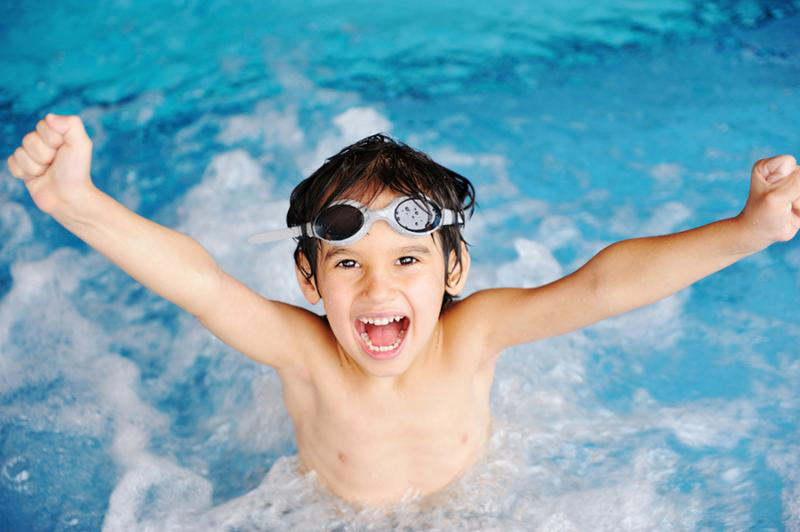 Our special needs swim lessons are offered in private, semi-private, and group swim lessons. Our private swim lessons are offered in a 1:1 ratio and allow the largest opportunity for one-on-one interaction with one of our trained swim instructors in order to give students more attention and focus. Our semi-private swim lessons are offered in a 2:1 ratio where we can match your child up with another student in order to work together and learn from one another. We also do a lot of sibling classes in our semi-private format. Since our class sizes are so small, we can put two siblings at different ability levels, and work with each one individually on their current need. Approximately 15 minutes of 1:1 interaction, and when it is not their turn to swim with the instructor, they will be given a task to do based on their ability. Our group swim lessons are offered in a 3:1 ratio where we can match your child or children up with other students in order to fill the class. We also do a lot of sibling and friend classes in the group format where we can put 2 or 3 of your children/friends together in the same class. Since our class sizes are so small, we can put two siblings at different ability levels, and work with each one individually on their current need. Approximately 10 minutes of 1:1 interaction, and when it is not their turn to swim with the instructor, they will be given a task to do based on their ability. * We offer a family discount for additional family members in the same session. $10 off 4 classes and $20 off 8 classes. * All payments are due on or before the first day of class (We only require a credit card on file to reserve your schedule). If you are not sure which class format would best suit your child’s needs, please contact us for more information and let us help you decide which class environment would be the best fit. We also offer a free trial class for all first time students in order to evaluate your child and help decide which class format would be the best fit. Steve Wallen Swim School offers drop-in classes in private, semi-private, and group swim lessons which can be scheduled and paid for individually at the same rate per class. Drop-in swim lessons are the perfect option for students who cannot commit to a full session or simply need a few refresher classes to touch up on their skills.